Written by Consortium GARR on 16 March 2018 . Written by Consortium GARR on 17 May 2017 . 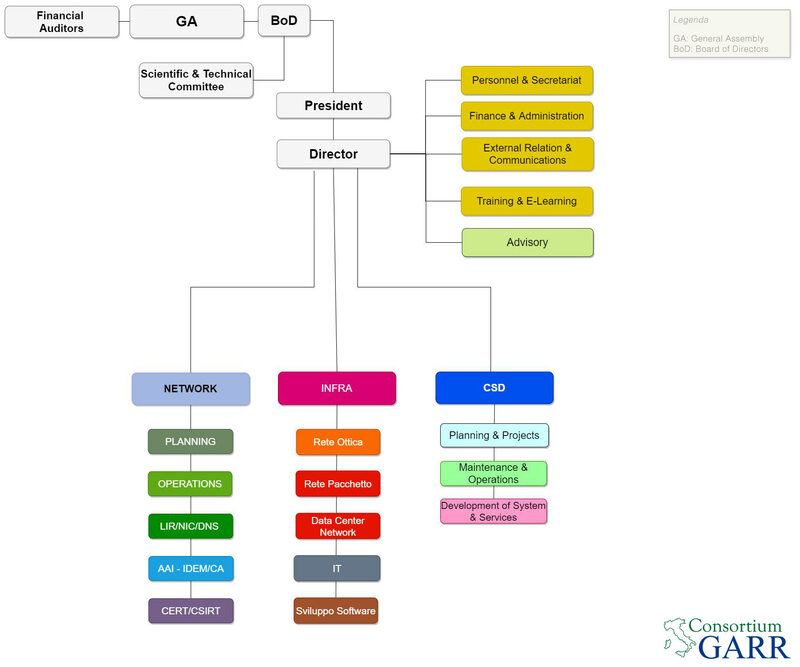 The GARR network employs leading-edge communications technologies, capable of offering the high levels of performance and reliability needed by the research and education community. Written by Consortium GARR on 28 November 2016 . Written by Consortium GARR on 23 November 2016 . Written by Consortium GARR on 14 January 2016 . Written by Consortium GARR on 13 January 2016 . Written by Consortium GARR on 14 September 2015 . The GARR network interconnects at ultra-high capacity universities, research centres, libraries, museums, schools and other education, science, culture and innovation facilities. Written by Consortium GARR on 01 September 2015 .